Three Great Events in The North East in April!! As part of the Microsoft Tech Days UK 2010, a week of free events for Developers and IT Professionals, there are three great events of note running in the North East. The Sharepoint User Group are hosting a great night at the Cinema in Stockton, and then NEBytes are pleased to welcome Jesse Liberty for a special evening of Silverlight in addition to the Monthly meeting covering Office 2010 and Preventing SQL Injection Attacks. Best of all- all three events are FREE!!!! Microsoft and Combined Knowledge have funded a great evening to celebrate the launch of Microsoft Office Sharepoint 2010. Join the Sharepoint User Group at the Showcase Cinema in Stockton-on-Tees to see a short presentation on the new features in Office and Sharepoint 2010, followed by an Open Mic “Ask the Experts” session on general SharePoint topics such as business adoption, Sharepoint designer, VS 2010 and Office focussed development in general, before settling down with Popcorn to watch a free screening of the new blockbuster – Clash Of The Titans! Building A Highly Extensible, Decoupled Silverlight Open Source Application with MEF and RIA Services using Lean, Test Driven Development, An International Team of Volunteer Programmers, and lots of Advil. Handling inter-module communication when the requirements are that modules cannot assume which other modules will be created, there can be no dependencies on order-of creation and unanticipated modules must be able to communicate with existing modules. Using Markers, Injected Markers and polling to trigger events while viewing a video. A Quick introduction to Lean, TDD and Kanban. This summer Microsoft will release Office 2010. While this is more of an evolution from Office 2007 rather than the revolutionary jump from Office 2003 into the world of the Ribbon UI, there are still a number of new features in the desktop applications that make this release interesting. 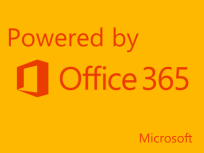 In addition, 2010 sees Office head into the cloud with the all-new Office Web Apps. In this session, NEBytes' own Ben Lee (@Bibbleq) and Jonathan Noble (@jonoble) will highlight their favourite new features across the whole suite and also demonstrate how to manage, secure and deploy Office 2010 to the desktop, including delivery using App-V. In light of some recent events, such as the man who was convicted of stealing 130 million credit card details through a SQL Injection attack, it is imperative that developers understand what a SQL Injection Attack is, how they are carried out, and most importantly, how to defend your code against attack. In this talk Colin Mackay will demonstrate a SQL Injection Attack on an application in a controlled environment*. He’ll show you where the vulnerable code lies and what you can do to harden it. Although this talk uses C# as the application language and Microsoft SQL Server 2008 as the database engine many of the concepts and prevention mechanisms will apply to any application that accesses a database through SQL. * Demonstrating an attack on a system without the owner’s consent is a breach of the 1990 Misuse of Computers Act, hence the controlled environment. Colin Angus Mackay is a Software Developer living in Glasgow. He has been programming since the age of 9 starting with a Sinclair ZX Spectrum. He became a professional software developer in 1994, using a Smalltalk based language called Magik. In 1996 he started using C++ commercially and in 2002 migrated to the emerging language of C#. Colin has received a number of awards including Code Project MVP (for 5 years) and Microsoft MVP (for 3 years). He is a member of the British Computer Society and a Member of the Institution of Analysts and Programmers. He is currently the chairman of Scottish Developers and has organised the last two Developer Day Scotland conferences (with a third in the works). You can find out more on his blog at: http://blog.colinmackay.net. Go to the NEBytes April Event Registration Page and sign up now!